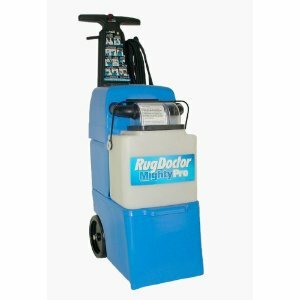 The Rug Doctor Mighty Pro Carpet Cleaner already available to rent or buy from all over the country where its reputation speaks for itself. The unit is compact and very easy to use. Click here to buy Amazon. With your help we can reach more people and let them know about Rug Doctor whether this product works or not. I have rented these in the past and with this amazing pay plan deal i finally decided to get this for the house. so instead of shelling out hundreds to the carpet cleaner man every few months to keep the high traffic areas in check. i pull out the cleaner and have my teenagers run it. It is pretty much as easy as using a vacuum. Slower of course, but just as easy. The cleaner has paid for itself in all the money i saved on professional cleaner services. I love my machine!